On the stocks at the shipbuilders Forges et Chantiers de la Mediterranee at Le Havre when France was engulfed by World War II was the half built shell of a new steamer intended for the Dieppe to Newhaven service of Societe Nationale des Chemins de Fer Francais, this was in 1940 with this partially completed condition comprising her first incarnation. However, after the Germans occupied France work on the ship was initially suspended, with the men at the shipyard carrying out some work of sabotage to her. Nonetheless she was eventually completed in 1943, but she wasn't to enter her anticipated service, instead beginning her second phase of life by becoming a minesweeper in the German Navy under the name Lothringen. In this capacity she was employed in the Hamburg and Bremerhaven areas. At the end of the conflict the ship was reclaimed by the French and returned to her rightful owners, finally emerging after repair and reconstruction as the Londres under the French flag, thus commencing the third era of her life. The Londres was of 2,444 gross tons, had a length of 308 foot and a beam of 40 foot. Her turbine machinery and twin screws gave her a service speed of 24 knots, although she was capable of more. 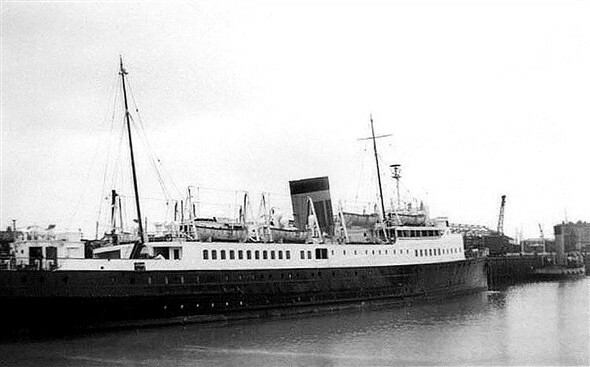 Accommodation was provided for some 1,400 passengers in two classes with the 1st class forward and 3rd Class aft. 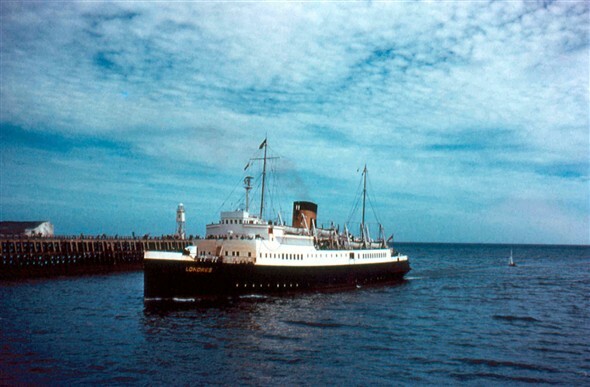 Most likely because of the difficulty in obtaining materials and a general need to keep financial costs low in the straitened years immediately after the war this accommodation was more spartan than to be found on earlier or later steamers that served the route. However she still boasted a number of cabins one or two of which were superior to the rest, as well as the usual lounges, bars and restaurant. 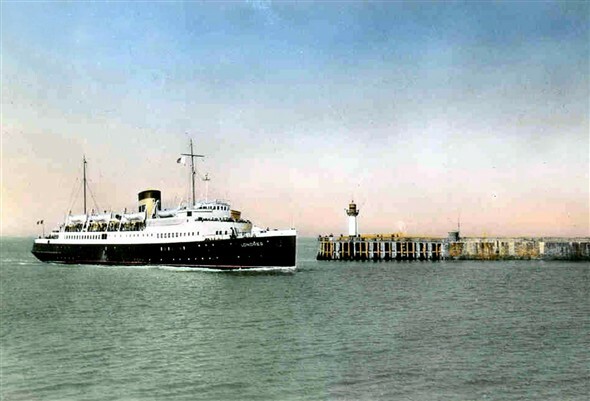 In 1955 came the next and fourth change for her when she was transferred from SNCF to the British Transport Commission and came under the British flag, being then registered at Newhaven. Despite this her name remained the same; although it would be interesting to know whether any discussion took place at the time regarding whether she should adopt a British name. 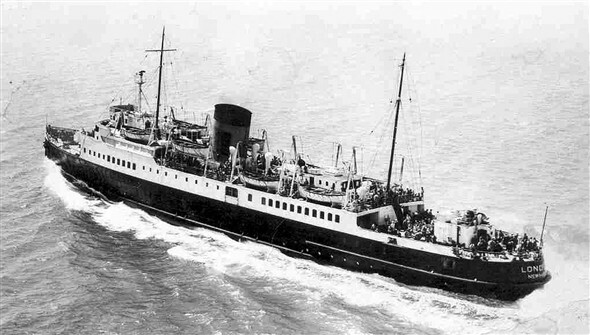 This is the period when she is probably most fondly remembered by Newhaven residents becoming a familiar sight as she plied between our harbour and that at Dieppe for the next eight years with her British crew; as well as being seen laying up in the Harbour when she spent time during overhaul by the Marine Workshops as required. 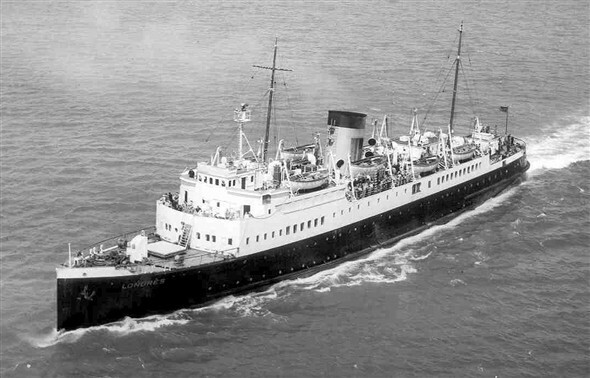 However, this period came to an end when she was sold to the Greek Typaldos Lines in 1963 thus entering the fifth and final part of her life. Typaldos had her rebuilt with a raked bow, adding to her length as well as providing her with additional superstructure and initially named her Ionion II. 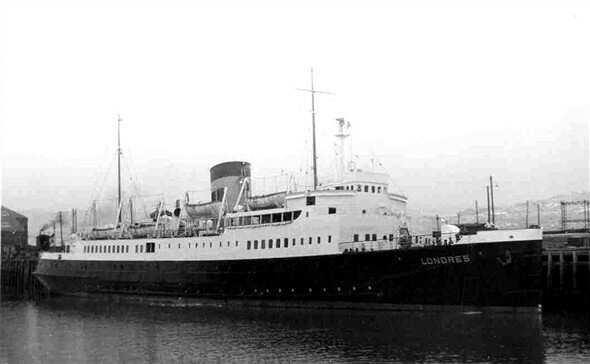 This was later altered to Sofoclis Venizelos and sadly fate finally caught up with as this was to herald her end; shortly afterward on 14th April 1966 she caught fire at Piraeus and became a constructive total loss. Her luck had at last run out. This page was added by Derek Longly on 07/08/2012. Some great shots of a fine steamer that served Newhaven well. My brother Barry served on her as 3rd and 2nd Engineer before moving to the Meeching, Brighton and Falaise. I can clearly remember hearing him and some of his colleagues referring to her as the London, rather than Londres. Quite unofficial, though. 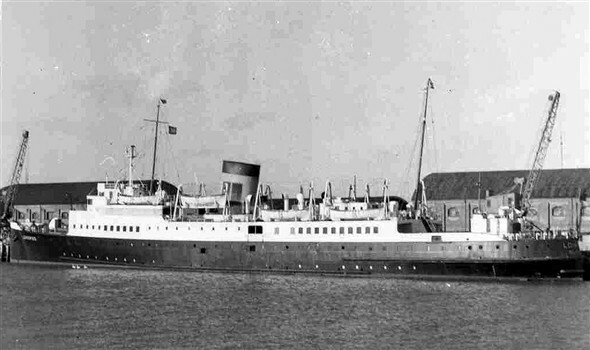 She was transferred when the Worthing was sold, to preserve the 1/3 to 2/3 ratio between British and French interests on the route. We had Brighton and Londres, the French had Lisieux and Arromanches plus the three 'Dieppe Screws', Rennes, Brest and Nantes. Speed? There are reports that she topped 27 knots as Lothringen, and tales that they were trying to equal that the night she stripped a turbine. I wonder if anyone knows for sure? I was in the boiler room on that crossing when she stripped her starboard turbine. We were at normal running speed at the time. 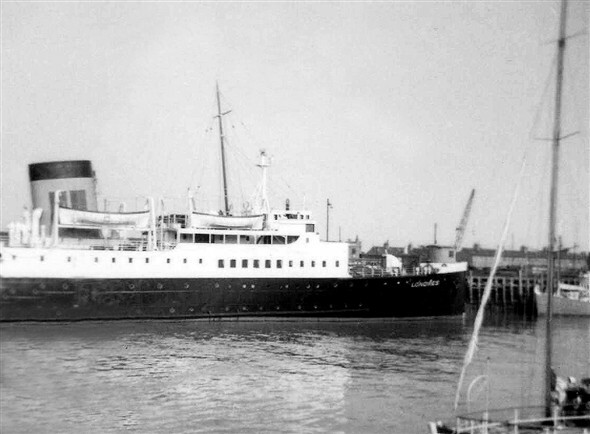 By the time we got in Chief engineer Mr Groves (a real gent) offered me a berth on the Brighton which of course I took. Speaking from a "Down below" view. The Brighton did'nt have the same character as the "London".